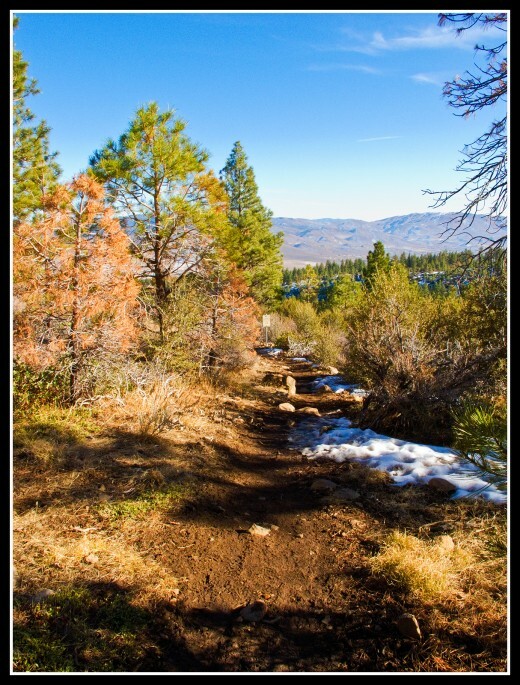 Many of the trails in the Reno/Tahoe area are well known locally and nationally. 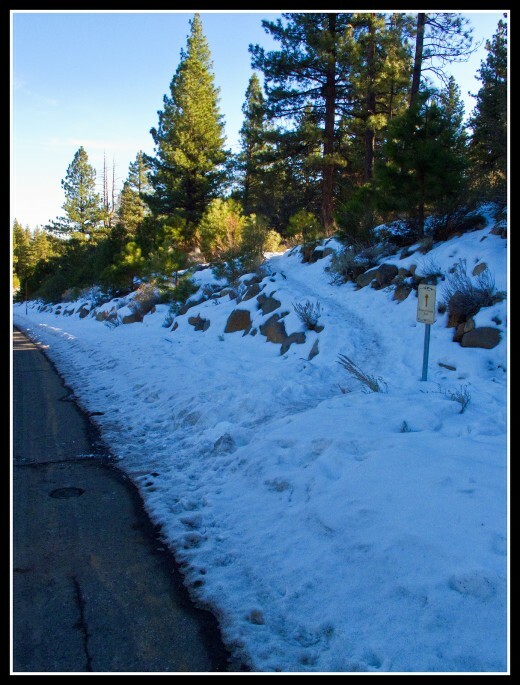 As a result of this, routes such as the Tahoe Rim Trail and the Thomas Creek trail can be quite busy. The Brown’s Creek trail suffers no such crowding problems, offering all the perks of a well-established trail while ambling along one of the regions lesser-known waterways. Local recreationalists often stand in wonder when it comes to discussion of the Brown’s Creek trail. 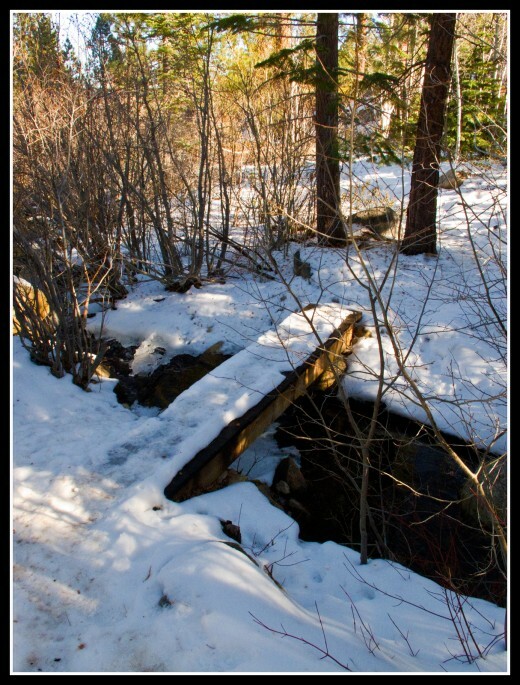 The nearby Jones Creek and Whites Creek trails are well known and well loved, but Brown’s Creek often remains unnoticed as hikers drive by on their way to more prominent trails such as those in the vicinity of Mount Rose or along the shores of Lake Tahoe. This is a shame as Brown’s Creek has much to offer the outdoor enthusiast. Initially ascending a mild slope marked by a mixed Jeffrey pine/mountain mahogany forest, the trail soon summits a broad ridge before beginning a descent into the canyon of Brown’s Creek. 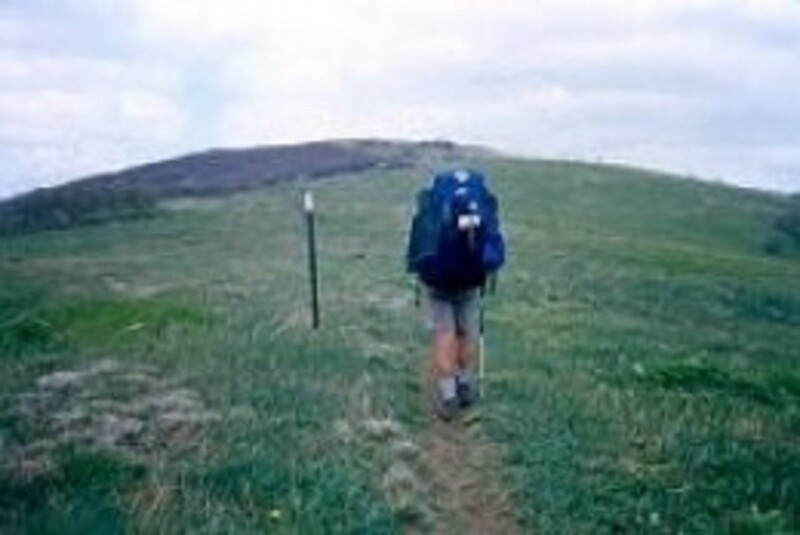 Atop the ridge one can choose to veer left or right at a trail fork, completing the 2.3 mile loop portion of trail in either a clockwise or counterclockwise direction. The loop is marked by open, sunny slopes; creekside aspen groves; and sporadic Jeffrey pine. Having completed the loop, the return to the trailhead is made delightful by glimpses of the mountains of the Mount Rose Wilderness to the west and the civilization of the Truckee Meadows to the northeast. Has your interest been piqued in a trail you’ve previously overlooked? If so, read on to discover what more the Brown’s Creek trail has to offer. Elevation gain: 600 feet to maximum elevation (6300); 1200 feet cumulative. Best time/season: year round; snowshoes often helpful in winter; hot summers. Shade availability: excellent for first and last 1.3 miles, intermittent on the loop. Trail users: hikers (with dogs off leash), runners, and lots of mountain bikers. Where Have You Been Hiking? Have you hiked the Brown's Creek trail? Yes, it's a beautiful trail and I will hike it again. Yes, but I didn't find it too inspiring. No, but I've hiked in the general vicinity at Galena Creek Recreation Area or on the Whites Creek trail. No, I don't generally hike in this area. The Brown’s Creek trail begins in the Galena Forest Estates development located off of Mount Rose Highway. 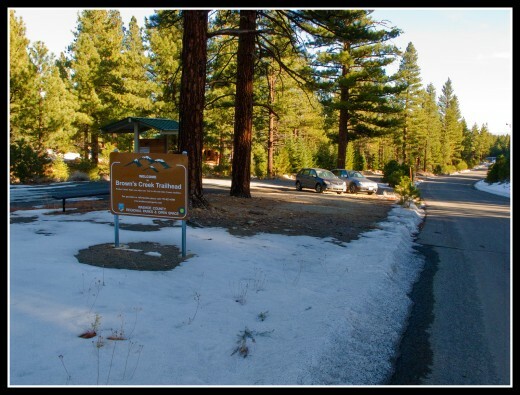 To access the trailhead, proceed 4.2 miles west on Mount Rose Highway (Nevada 431) from its intersection with Thomas Creek Road at Galena Market and turn left onto Joy Lake Road. Follow Joy Lake Road for 1.5 miles before arriving at the signed trailhead on the left. If you reach the gated entrance to the Saint James Village neighborhood, you’ve gone 0.4 miles too far. The signed trail begins on the south side of the road towards the western end of the trailhead parking area. 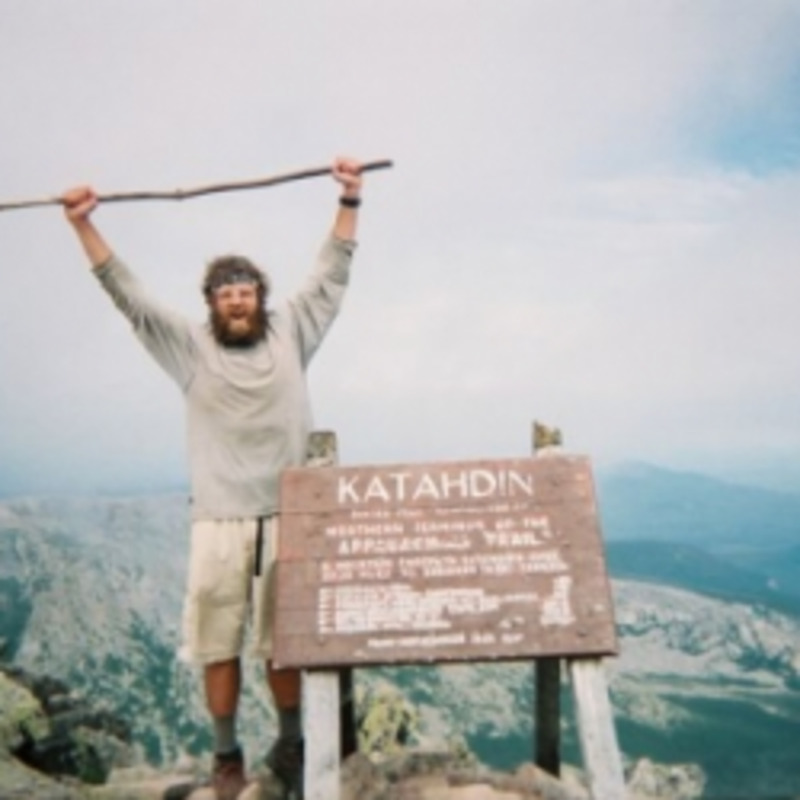 If completing the entire trail, it is a 4.8 miles journey with approximately 1200 feet of cumulative elevation gain (there are some ups and downs). From Joy Lake Road, the Brown’s Creek trail heads southeast for just over 100 feet before reaching a switchback and heading west. The trail then wraps around the hillside of pine and mahogany to gain a southern trajectory. Around 0.35 miles from the first switchback the trail crosses a dirt road leading to a minor vista and municipal water tank. Continue on the trail through the forest 0.45 miles further before reaching another switchback. Follow the trail through three more switchbacks and another 0.35 miles before reaching a sign reading “vista” and topping out on a mild ridge at an elevation of 6300 feet. 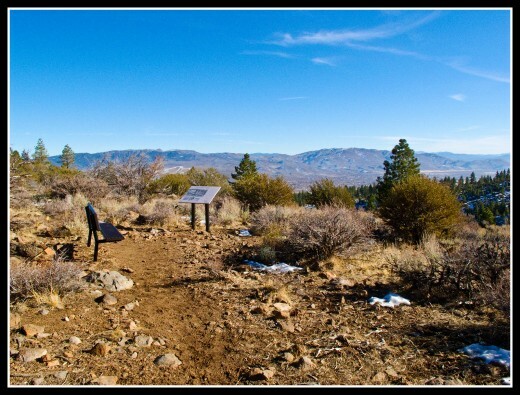 If you desire, follow the vista trail 0.1 miles to a bench with a view of Washoe Valley and a sign describing an old amusement venue known as Sundown Town. When ready, retrace your steps back to the main trail. Just over 0.1 miles after passing the vista sign the Brown’s Creek trail forks. Going left yields a steady eastern descent while going right yields a slightly shorter western descent. For the purposes of this description, take a left to follow the loop in a clockwise direction. The first 0.4 miles of the loop descend down a sunny, desert slope before reaching a switchback beneath the shade of Jeffrey pines. Just under 0.1 miles after the switchback a plank bridge leads the trail across Brown’s Creek. Proceed 0.65 miles on the sunny northern side of the often dry south fork of the creek before encountering another switchback. Follow the trail 0.55 miles as it wraps around the lightly shaded hillside to reach the next plank crossing of the north fork of Brown’s Creek, all the while ascending and descending mildly. After crossing the creek, wander through the final switchback of the loop portion of the trail and ascend to the northeast for 0.4 miles before returning to the previously encountered trail fork. Retrace your earlier steps for the final 1.25 mile return trip to the trailhead. One of the most thorough resources available for the area, this book provides in-depth accounts for over 100 local hikes. It provides not only directions to each trailhead and available trailhead facilities, but also extensive descriptions of each route. 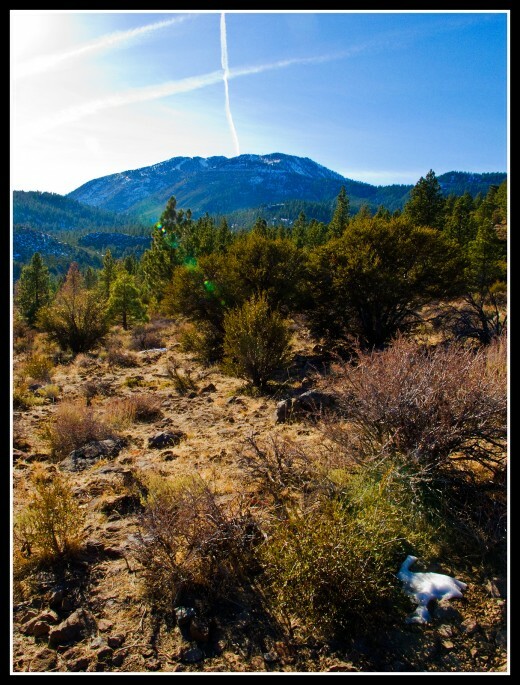 The earliest portions of the Brown's Creek trail are marked by the shade of Jeffrey pine and curl-leaf mountain mahogany. Beneath this shade can be found sporadic manzanita and--in the spring--the low-growing purple flower known as squaw carpet. 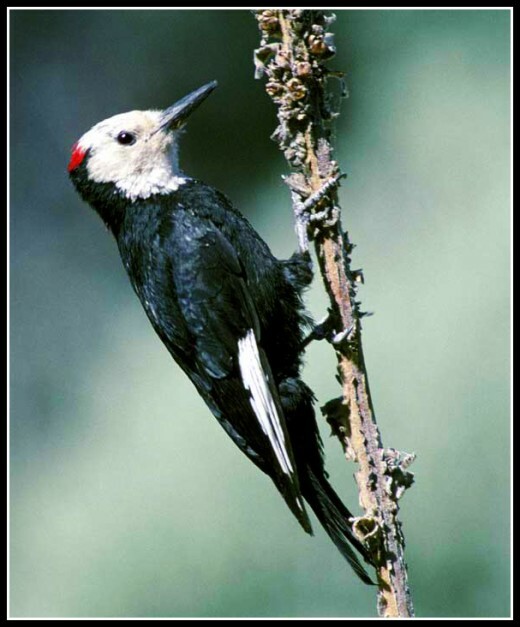 Wildlife of the shade includes chipmunks, squirrels, Stellar’s jays, and a particularly conspicuous population of white-headed woodpeckers. Along the sunny portions of the loop can be found plentiful greenleaf manzanita and antelope bitterbrush, and the bird species that associate with these plants--such as white-crowned sparrows, fox sparrows, and western scrub-jays. As the trail passes through the riparian area along Brown’s Creek quaking aspen and willow predominate, making for a beautiful display of autumn foliage in the final weeks of October and harboring birds such as MacGilivray’s warbler and red-breasted sapsucker. An excellent asset for exploring the entire Sierra Nevada that covers everything from fungi to fish to chipmunks. What Do You Think of the Brown's Creek Trail?